A bill currently moving through the Indiana legislature would allow the state's racinos to offer live table games this year and sports betting in 2020. 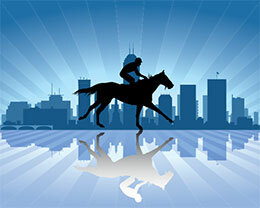 INDIANAPOLIS, IN—FEBRUARY 12, 2019—A shake-up of Indiana’s gambling laws being debated could see two new casinos being built and allow legalizing sports betting to start as early as next year. Caesars Entertainment gets a boost from the plan for the two horse track casinos near Indianapolis that it bought last year. The bill would allow those two casinos to offer table games with live dealers beginning later this year. Current law restricts that until 2021. They currently only offer electronic games and expect live dealers will attract more gamblers. The proposal would also allow the state’s casinos to start sports betting in person or online starting in 2020 after receiving approval from the Indiana Gaming Commission. Wagers could be made on professional or collegiate sporting events, but not on high school or youth games. Those placing bets would have to be 21.